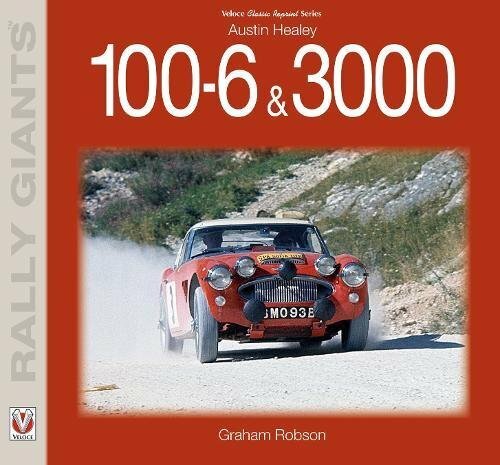 “A Big Ask” is the inside story of the Ford Motor Company’s return to the world’s most famous sports car race – The 24 Hours of Le Mans – as told by veteran motorsports journalist David Phillips and accompanied by more than 100 color images by some of the world’s leading racing photographers. Half a century ago, Ford’s battles with Ferrari for supremacy at Le Mans became the stuff of legends. Rebuffed in his bid to buy Ferrari, Henry Ford II spent untold millions to defeat the iconic Italian marque in a race it had come to dominate in the early 1960s. After two years of humiliating failure, the Ford GT40 delivered a storied 1-2-3 finish at Le Mans in 1966, the first of four straight wins for the American automaker. Ford returned to Le Mans in 2016 with a 21st century Ford GT and a bold mission: Celebrate the golden anniversary of its legendary 1-2-3 finish in 1966 with another victory. But Ford did not go it alone. Boasting a driver line-up of “Le Mans Assassins,” Ford partnered with powerful Chip Ganassi Racing, winners of the Indianapolis 500, 24 Hours of Daytona and Daytona 500, world-renowned Multimatic Engineering, and a host of world-class suppliers in an effort to win the 24 Hours of Le Mans. Veteran motorsports journalist David Phillips was embedded with Ford Chip Ganassi Racing throughout what proved to be an exhausting and exhilarating journey, from the development of the Ford GT and its problematic competition debut through to its first successes and, finally, triumphant performances at Le Mans and beyond. 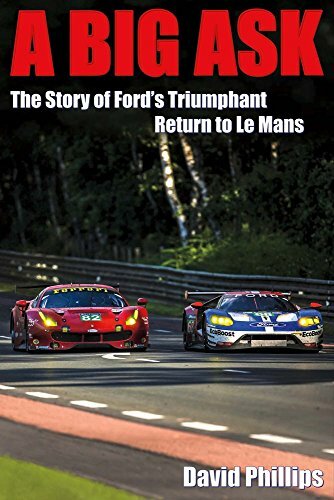 With unfettered access to all of the key players at Ford, Chip Ganassi Racing and Multimatic, he provides a detailed, insightful and compelling account of Ford Chip Ganassi Racing’s audacious bid to win the 24 Hours of Le Mans that will be a welcome addition to the collection of any motorsports aficianado, automotive buff or sports fan. 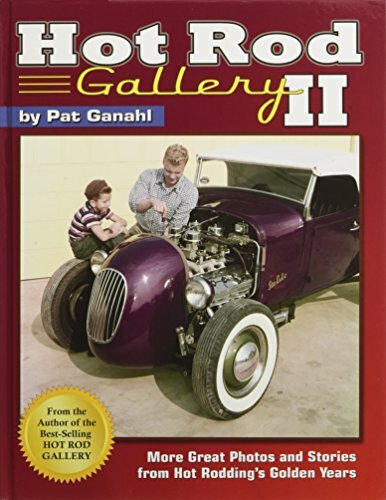 David Phillips spent more than two decades as a freelance journalist covering Indy and sports car racing for one of the vital world’s leading motorsports publications including Racer, Autoweek, Motoring News, Motor Sport, Autosport, IndyCar, Auto Action, Sports Car and On Track in addition to racer.com, speed.com, USA Today and the Pittsburgh Post-Gazette. Since 2009 he has been publications director of iRacing.com, the world’s premier online motorsports simulation service. 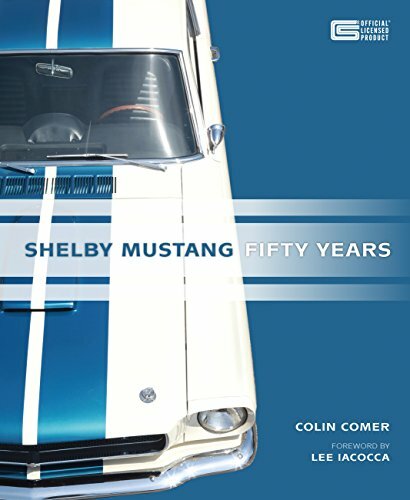 “A Big Ask” is the inside story of the Ford Motor Company’s return to the world’s most famous sports car race – The 24 Hours of Le Mans – as told by veteran motorsports journalist David Phillips and accompanied by more than 100 color images by one of the vital world’s leading racing photographers. Half a century ago, Ford’s battles with Ferrari for supremacy at Le Mans became the stuff of legends. Rebuffed in his bid to shop for Ferrari, Henry Ford II spent untold millions to defeat the iconic Italian marque in a race it had come to dominate in the early 1960s. After two years of humiliating failure, the Ford GT40 delivered a storied 1-2-3 finish at Le Mans in 1966, the first of four straight wins for the American automaker. Ford returned to Le Mans in 2016 with a 21st century Ford GT and a bold mission: Celebrate the golden anniversary of its legendary 1-2-3 finish in 1966 with another victory. But Ford did not go it alone. Boasting a driver line-up of “Le Mans Assassins,” Ford partnered with powerful Chip Ganassi Racing, winners of the Indianapolis 500, 24 Hours of Daytona and Daytona 500, world-renowned Multimatic Engineering, and a host of world-class suppliers to be able to win the 24 Hours of Le Mans. 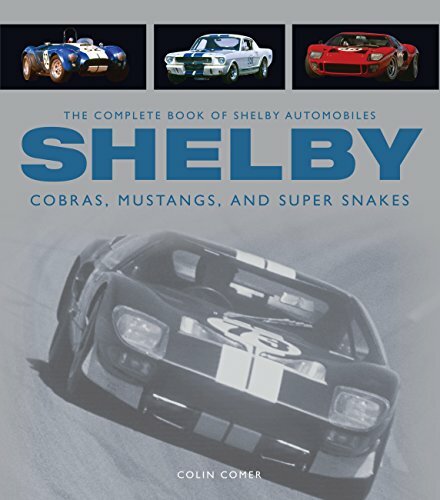 Veteran motorsports journalist David Phillips used to be embedded with Ford Chip Ganassi Racing right through what proved to be an exhausting and exhilarating journey, from the development of the Ford GT and its problematic competition debut through to its first successes and, in any case, triumphant performances at Le Mans and beyond. With unfettered get admission to to the entire key players at Ford, Chip Ganassi Racing and Multimatic, he provides a detailed, insightful and compelling account of Ford Chip Ganassi Racing’s audacious bid to win the 24 Hours of Le Mans so that you can be a welcome addition to the collection of any motorsports aficianado, automotive buff or sports fan.